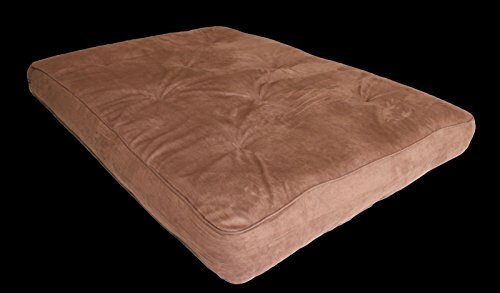 NEW Futon Mattress 8" Inch Thick Bed Couch Sofa Microfiber Cover Brown or Black Description: This 8" Full-size microfiber futon mattress provides comfort and support with its 522 independently-encased 15-gauge pocket coils. Has quality foam and polyester layering between cover and coils for optimal comfort. It will fit any standard Full Futon Frame. Futon arms and frame sold separately. Mattress Size: Full = 54 inches x 75 inches Shipping: I only ship within the Continental United States. I do not ship to Alaska or Hawaii. Shipping is free. All mattresses are compressed, shipped boxed and vacuumed sealed. After opening, allow about 5 minutes for the mattress to settle. If you have any questions about this product by Futons, Frames & Covers, contact us by completing and submitting the form below. If you are looking for a specif part number, please include it with your message.